November | 2016 | US Registries LLC. One of the largest changes in the economy that affects U.S. businesses is the direction of interest rates. Interest rates are typically lowered when the economy is sluggish and the Federal Open Market Committee — the group of Federal Reserve Bank economists who monitor the economy — decides that conditions warrant lowering. 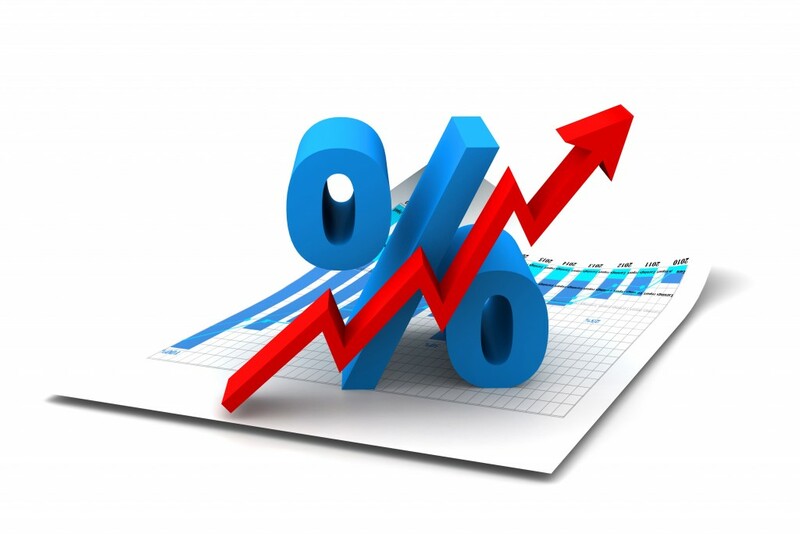 Interest rates are usually raised when the economy is picking up or strong, in an attempt to keep the economy from overheating and currency from inflating. Since the financial crisis of 2008-2009, interest rates have generally been low. In fact, for the past several years, they have been at all-time lows. What impact does that have on your business? Well, lower interest rates mean that it’s less expensive to get loans. As a result, it’s easier do the things that a loan might pay for, such as expanding offices, hiring new people, and buying new equipment. So right now might be a good time to expand. However, because rates have been historically low for a relatively long period of time, it’s a good idea to keep an eye on the financial and economic news. Anything that stays at a historic low for a long time is bound to go up. The FOMC usually raises rates gradually — 0.25% to 0.50%. But when they start to climb, they can do so for a while. The FOMC meets multiple times per year, and it can, theoretically, hike rates each time. So rising interest rates could, in a few years, mean that it’s expensive to get loans. It’s a good idea to keep track of the direction and plan accordingly. The US manufacturing sector is on the rise, which was not the case previously. The growth in the automotive industry supports the success that continues to make these industries thrive within the US. Another factor is that improvement of domestic plants cost competitiveness, in comparison to the rise of manufacturing expenses as a result of high wages in other countries, draws attention of majority back to the US manufacturing industry. Here are some of the attributes that will help revitalize this industry. As the need to replace retiring employees within the US manufacturing field continues to rise, there is the threat of recruiting new hires from community colleges that offer generalized training. A new measure in place to provide job-training programs will help deal with the issue. Collaboration with community colleges to offer programs that the industry needs will be the other way to deal with this challenge. Manufacturing innovation and realization of new business opportunities lead to production of hi-tech and high-margin products. They can achieve this through creation of regional centers of competence that specialize in a particular area and leverage on that as well will make this achievable. The idea to make import more expensive than exports will also help revitalize the US manufacturing industry. To achieve this, there is a plan for those who ship products from the US, to acquire certificates equal to the value of their exports, while importers acquire certificates from exporters. That means exports become cheaper and this will make US goods more competitive. Sometimes its the little stuff! Success in big or small businesses depends on several factors that work together in a seamless manner. However, it is important to note that what works for large enterprises, may not necessarily apply to small businesses. Here are some valuable tips that act as treasures for the success of small businesses. If you operate a small business, success takes more than offering great products because even if they were the best in the market, without great customer service, then it is all in vain. You should employ customer service tactics that touch lives in a special way, to the extent that you create memorable experiences. Community projects provide a great avenue to touch lives, and this enhances public outlook as part of excellent customer service. As a small business operator, you might not need to do a lot to attract new clients in some instances. The biggest challenge is how to retain them when they become loyal customers. Loyalty programs that suit your business and your customers are an excellent way to achieve this, and this is a strategy that large firms use as well to achieve success in business. Therefore, probability of customer retention is greater with relevant loyalty programs. Price is a major factor when it comes to success in business, but small businesses lack the muscle to compete with larger ones in this aspect, as they try to either match or beat prices that large companies offer. The trick, in this case, is for small businesses to provide alternative experiences that are unique in comparison to price. That sets small enterprises apart and causes them to succeed. The serious challenges that the US manufacturing sector has seen in the past few months is the source of the ripple effect in the economy. That is not tied to a particular country alone, but the effects spread to other nations that trade with countries with such challenges. Here are some of the consequences of a slow manufacturing sector in the US. Export drags Inadequate production of finished goods in the industries means that there are fewer goods to export to meet certain deadlines. When that is the case, industries have to buy more time to produce adequate supplies to provide the right quantity, and this is what creates export drag. The US manufacturing sector has seen this become a reality in the past months, while on the other hand, imports are at a steady pace. Trade deficits Exports are a source of earnings to every country when they trade with other nation from the sale of raw materials, minerals, finished products, among other goods or services. Countries that are rich in various resources stand a better chance to realize more and better gains from such trading activities. Fewer exports in the US due to export drag mean that the effect on the economy is trade deficits. Sluggish international demand for goods Various aspects affect demand for products and services and when it comes to international trade, exchange rates, and global economic weaknesses are significant factors. The US manufacturing industry bears this history, since the dollar does not receive favorable exchange rates in other nations, and the weak worldwide economy, affects demand for goods negatively as well. The growth of financial technology has changed how we look at financing today. Individuals are rather passive when it comes to this developing technology as it’s only an advancement that creates convenience for them. 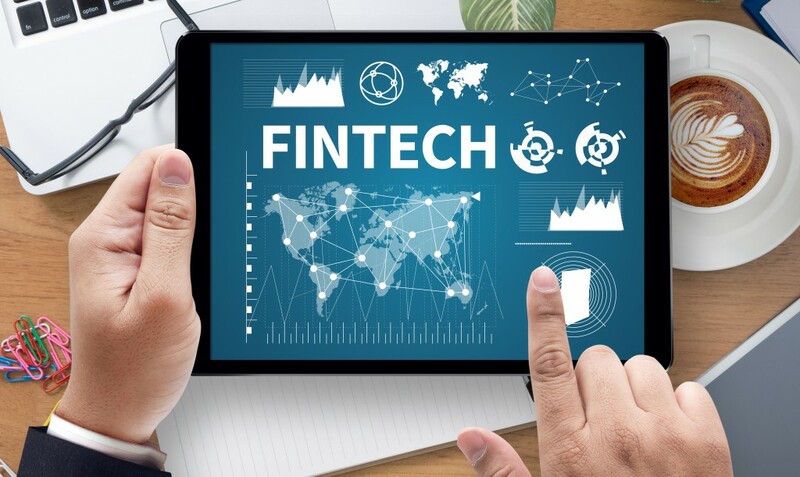 On the other hand, businesses should be and often times are well aware of this influencing “fintech” (financial technology). What is fintech? Fintech is the bridge between banks and the digital world. Almost everything is dependent on the internet. There are some businesses out there today that are strictly internet based. Banks were failing to make this online presence, so this allowed companies like PayPal, Lending Club, etc, to arise. They came and filled this gap that the banks had left behind, and smoothed out the financial struggle between our money and online businesses. Thanks to these companies we can make easy and simple purchases online, convert money into other forms of credit, and even distribute our money easier. But this is only what regular customers got from it. Businesses saw other opportunities with fintech. Loans for those small businesses could now be easier to achieve, as online financial platforms allowed the handling of money in a completely different way than banks. There is more support and trust among those online loan agencies to help businesses grow. And these small businesses could now open themselves to the online crowd, allowing for more convenient business online. This helped them reach more customers and grow more than ever. Fintech is still growing today, at an even faster rate. Everything we used to depend on banks for can now be done online through other companies. For more news on business visit here, or follow us on Twitter. The gig economy is most often associated with lower skilled work, such as the omnipresent ride service drivers. However, as the culture around gig work evolves and the number of opportunities rises, increasingly talented and skilled workers are seeking short-term positions, including in the IT space. The key to finding the right employees for your business is in taking a close look at your own business’ data, and matching it with the skills and needs of IT gig workers. 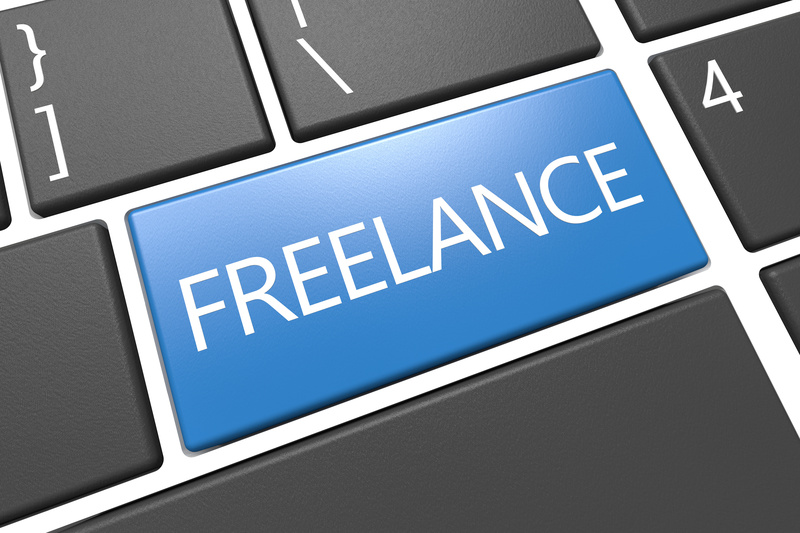 53 million Americans work as freelancers. And that number continues to grow. That means businesses can turn their attention to finding the best employee for the job, even if that person interviews and works entirely from home. The IT field has many unique opportunities for telecommunication rather than on-site work, which opens up businesses to a vast pool of potential temporary workers, depending on the project. IT departments can save around 30% on payroll costs with temporary hires. While this requires some attention to detail with picking the right freelancers, the payoff is plainly large. As skilled IT professionals continue to turn to the gig economy as their primary income source, it is increasingly tenable to plan projects around scaling active staff to the exact needs of the moment. Not every IT job requires a permanent position. By predicting when a current high level of need is potentially going to taper off, using short-term subcontractors can save money and avoid the issue of having a large IT team with months of downtime. By following these three small business tips and tricks, you can lower your IT overhead and focus on scaling your staff — and expenditures — based on the work at hand.